Direct diode heating in industrial applications refers to heating specific regions of a material surface with a semiconductor laser diode. 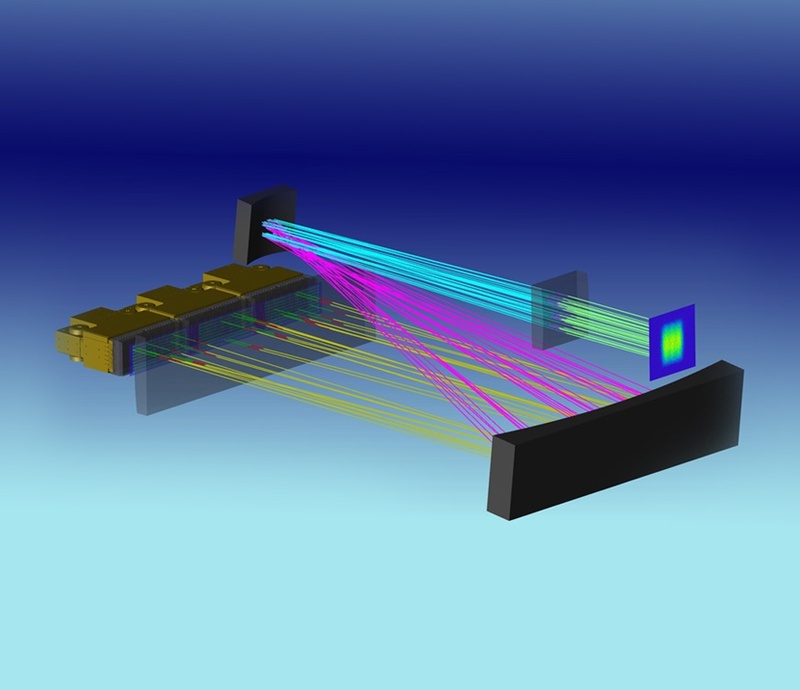 This is as opposed to a fiber or solid-state laser or other non-laser heating methods. In a previous article we described reasons why direct diode heating is more effective than older methods such as IR lamps, microwaves, or forced air. One of the primary advantages of diodes is their flexibility—virtually any aspect of a diode laser heating system can be designed and optimized for performance and cost. Below are 8 factors to consider when choosing a laser diode for a direct diode heating system. Learn more about laser diodes in manufacturing & heating systems. VCSEL or Edge Emitters: Diode lasers can utilize 2 types of semiconductor diode technologies: vertical cavity surface emitting (VCSEL) and edge emitting. Edge emitters provide higher brightness and energy efficiency with an elliptical beam shape. VCSELs require a circular beam and can be patterned for scalable brightness or beam shaping. Both offer advantages and disadvantages. Lasertel manufacturers both types. To learn more about each, check out this white paper. Wavelength: A huge advantage of diode lasers is they can be designed to emit specific wavelengths within the infrared spectrum from 760 nm to 1700 nm. When designing a direct diode heating system, the laser wavelengths should be optimized to best match the absorption spectrum of the material. Eye-safety can also be a significant concern. Processing mode: Diode heating systems can operate in two modes: continuous (CW) or pulsed (QCW). Power: The power of a laser diode can be customized from just a few watts many kilowatts of optical power. The power of a laser diode varies as a function of operating current and can be adjusted by the user. Beam shape and energy distribution: A diode laser can be designed to provide a customized beam shape. Common shapes include spots (circle), lines, rectangles, and rings but any shape is possible. Multiple user-selected shapes are also an option. Across a target area, the amount of light and therefore heat within any one region may vary. The beam modulation may be a design feature. If a smooth energy distribution is required, beam shaping optics can provide up to 99% uniformity across the field of illumination. Depth of focus: The spot size, energy homogeneity and other parameters vary as a function of the distance between the emission source and the target surface. If the material to be processed is not planar, the optical design must account for the depth of field. Stray light mitigation: Some amount of laser light may be outside the target area. Stray light may represent an eye-hazard or result in the processing the material outside the desired region. Stray light can be mitigated, or even be eliminated via a good optical design. Stray light analysis using optical modeling software is a powerful tool for predicting and preventing stray light problems. Size and weight: Space limitations are common in many manufacturing environments. The small size and weight of laser diodes is an enormous advantage. It is important to consider the size and weight of the entire illumination system, including power supply, beam-conditioning optics, and mechanical design. The above features are all important factors when designing a direct diode heating system. The compact size and energy efficiency of laser diodes enable designers to create custom-made heating systems that are optimized for any application. In an upcoming article, we will provide specific examples of how laser diodes are fitting in to applications in modern manufacturing facilities. Start building your custom laser today. Download our white paper, Direct Diode Heating: Shaped Light Delivery for Heating Applications, to learn more about laser diodes in manufacturing & heating systems.